A noted philosopher proposes a naturalistic (rather than supernaturalistic) way to solve the "really hard problem": how to live in a meaningful way-how to live a life that really matters-even as a finite material being living in a material world. 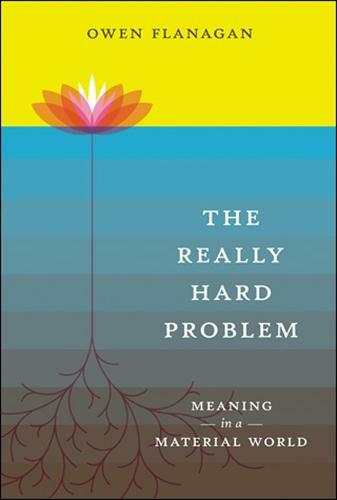 If consciousness is "the hard problem" in mind science-explaining how the amazing private world of consciousness emerges from neuronal activity-then "the really hard problem," writes Owen Flanagan in this provocative book, is explaining how meaning is possible in the material world. How can we make sense of the magic and mystery of life naturalistically, without an appeal to the supernatural? How do we say truthful and enchanting things about being human if we accept the fact that we are finite material beings living in a material world, or, in Flanagan's description, short-lived pieces of organized cells and tissue? Flanagan's answer is both naturalistic and enchanting. We all wish to live in a meaningful way, to live a life that really matters, to flourish, to achieve eudaimonia-to be a "happy spirit." Flanagan calls his "empirical-normative" inquiry into the nature, causes, and conditions of human flourishing eudaimonics. Eudaimonics, systematic philosophical investigation that is continuous with science, is the naturalist's response to those who say that science has robbed the world of the meaning that fantastical, wishful stories once provided. Flanagan draws on philosophy, neuroscience, evolutionary biology, and psychology, as well as on transformative mindfulness and self-cultivation practices that come from such nontheistic spiritual traditions as Buddhism, Confucianism, Aristotelianism, and Stoicism, in his quest. He gathers from these disciplines knowledge that will help us understand the nature, causes, and constituents of well-being and advance human flourishing. Eudaimonics can help us find out how to make a difference, how to contribute to the accumulation of good effects-how to live a meaningful life.